If you pre-order Anthem, or subscribe to EA Access, you’ll be able to play a VIP demo of the upcoming game ahead of everyone else. 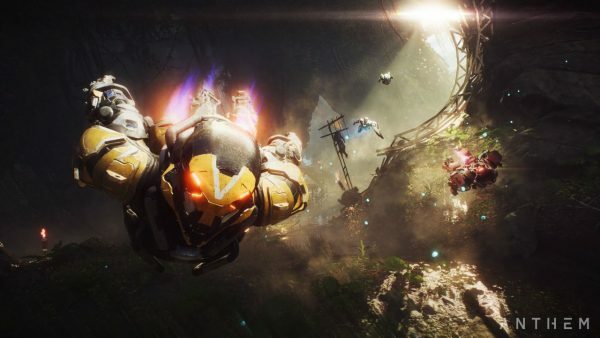 Bioware announced today at PAX West 2018 that VIP access to the Anthem demo will go live on February 1. The demo was announced as a EA Access and pre-order incentive at EA Play back in June during E3 2018. It will be available for PC, PS4, and Xbox One users. Those who don’t meet the conditions above will have to wait until the demo is made available to the public. Contents of the demo were not provided as of press time. Pre-order customers and EA Access subs (basic and premier) will receive their codes closer to the demo’s release. Bioware previously said it would hold closed alphas for the game, but it doesn’t appear betas will be made available to the public. Just the demos. At least for now. More information is expected out of PAX today during the panel, which is going on right now as we type. Matt’s sitting in the audience watching it live, so we’ll give you all the news out of the panel once it concludes. In the meantime, you can get a sneak peek into how the missions in Anthem will play out this video from July. You can also find out everything there is to know about the game through our Anthem news hub. Anthem releases February 22 on PC, PS4, and Xbox One. Origin Access and EA Access members can start playing it early on February 15.